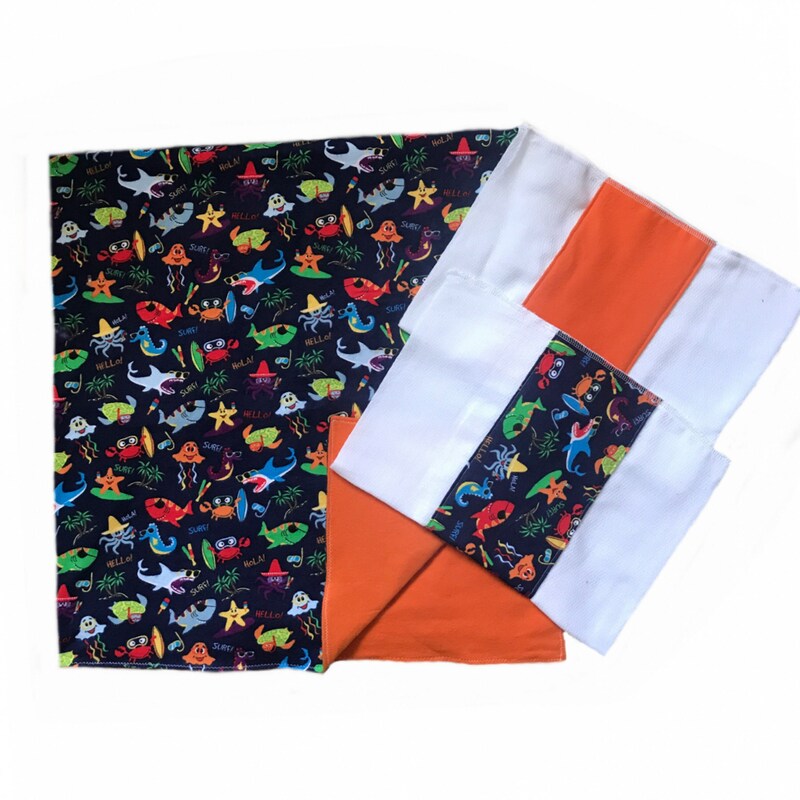 Keep your little loved ones cozy and clean in our baby blanket and burp cloths. Perfect for those little babes in your life. Makes a great baby shower present for an expectant mother. Our blankets are made from soft flannel fabrics on both sides. One side is a print and the other is a matching solid. Our blankets are roughly 42" X 42". Burp cloths are made from cloth diapers muslin and flannel, sizing roughly 20"X14". Caring for your item: Machine wash cold using mild detergent. No bleach or fabric softener. Tumble dry on low then remove promptly. Cool iron if needed. Item has not been prewashed. Please don't allow your child to sleep with the blanket. We are not responsible for any incidents that may occur.